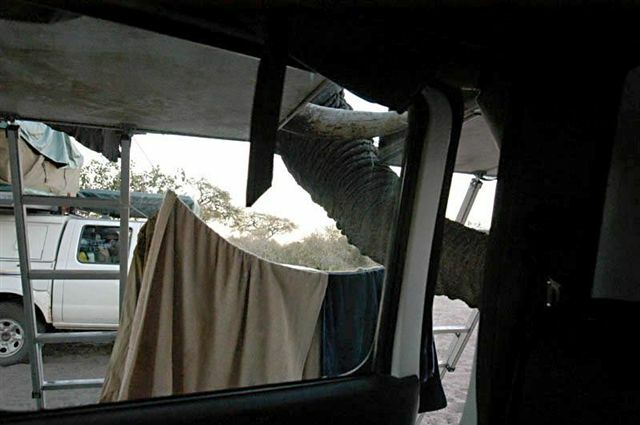 Aren't you glad you live in Australia? 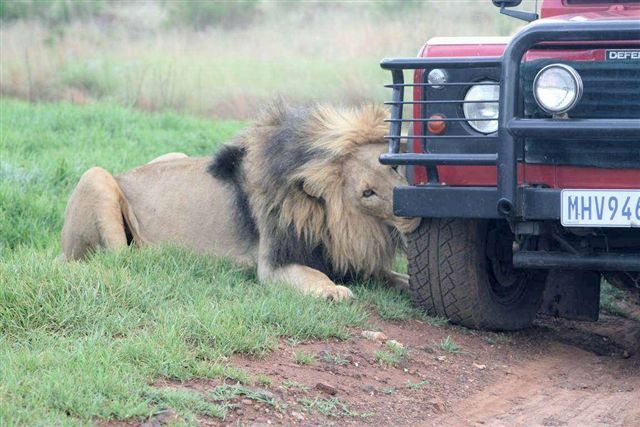 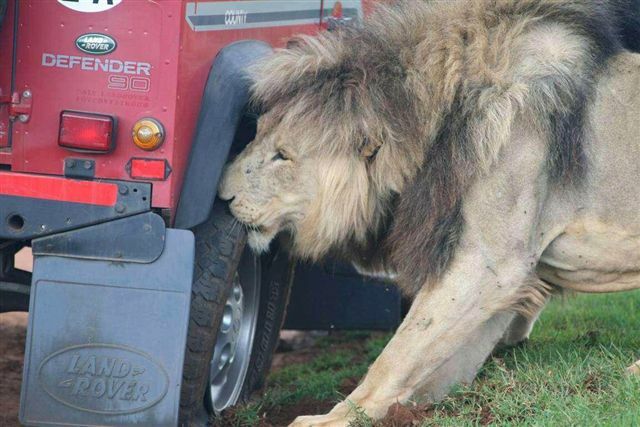 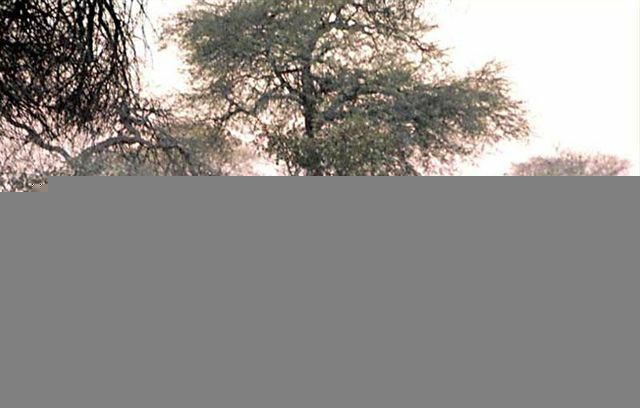 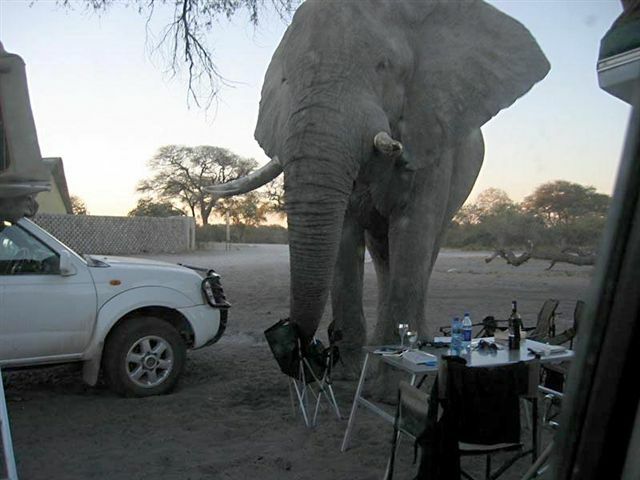 Just imagine having to tend with large elephants and roaring lions invading your campsite! 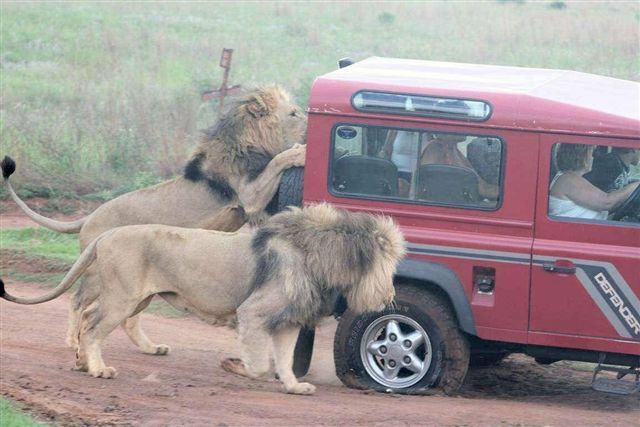 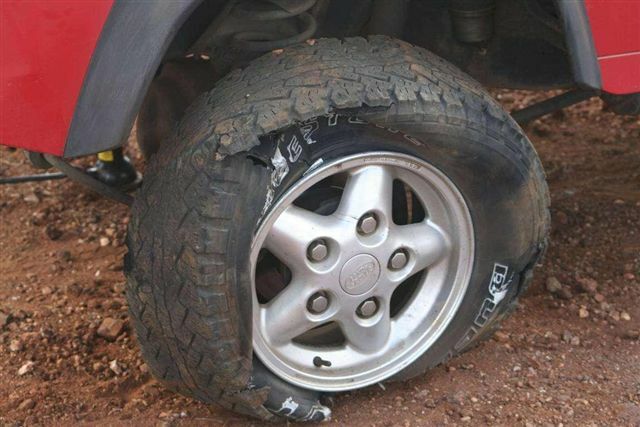 Fortunately, this scene rarely happens in OZ, except be wary for the crocodiles if you're up in their country. 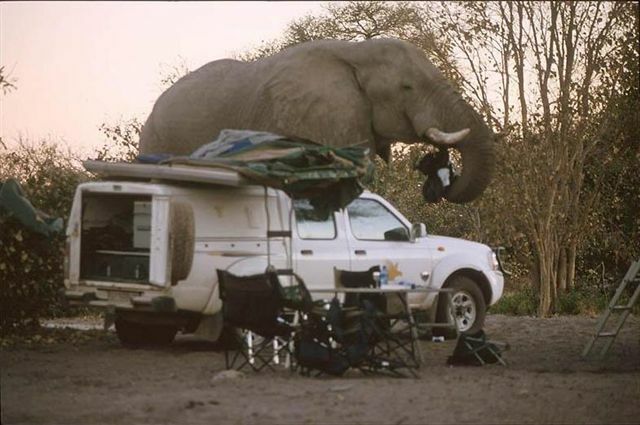 While you're on our site, click around to see our Camper Trailer Tent Tops & Roof Top Tents. 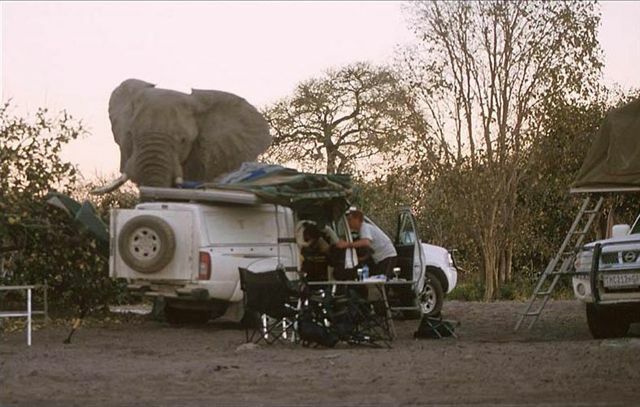 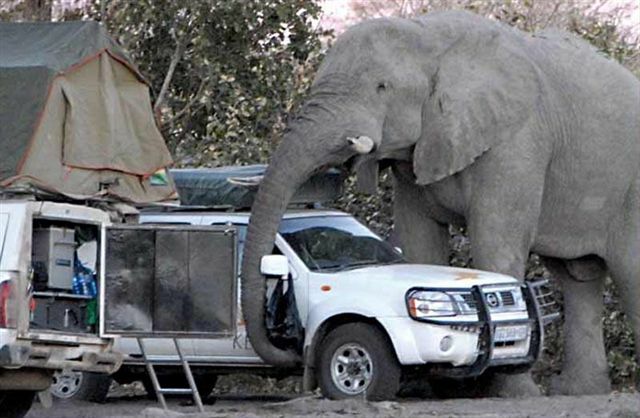 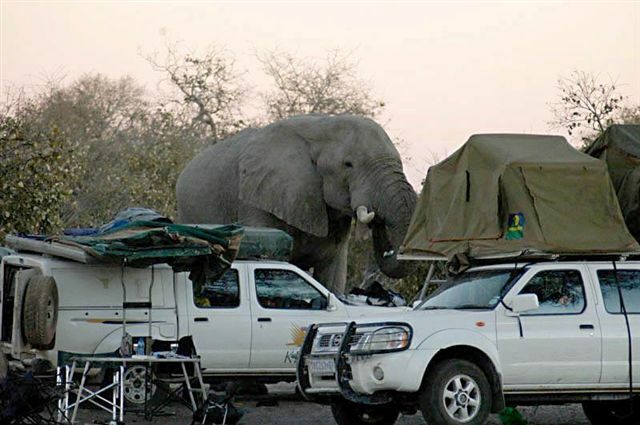 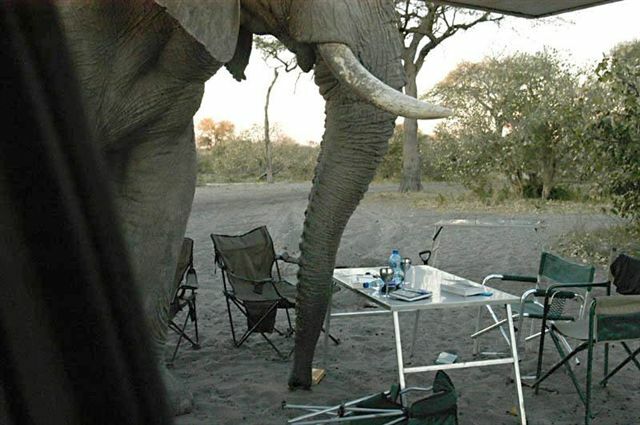 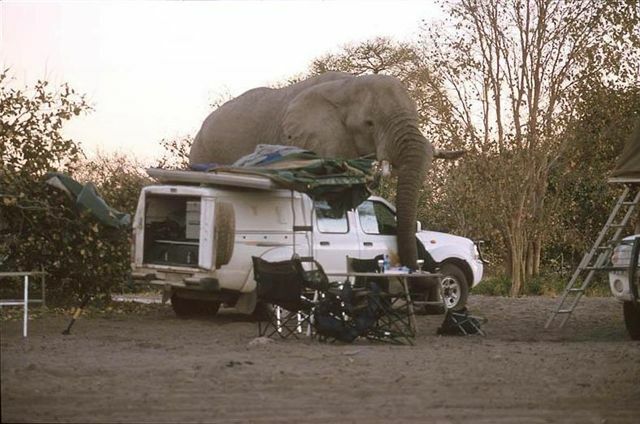 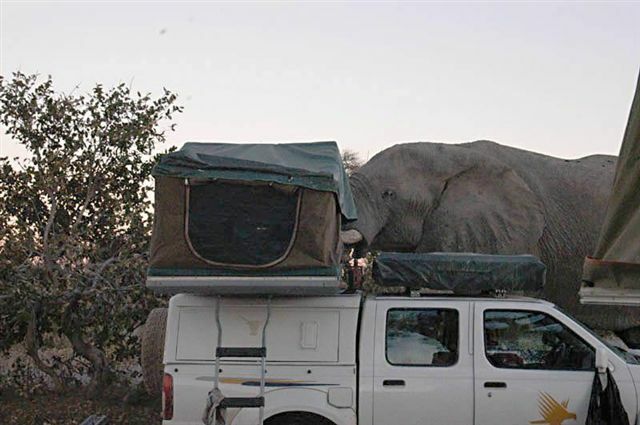 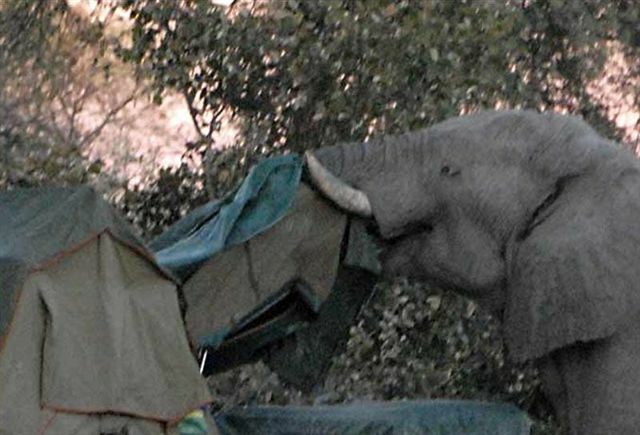 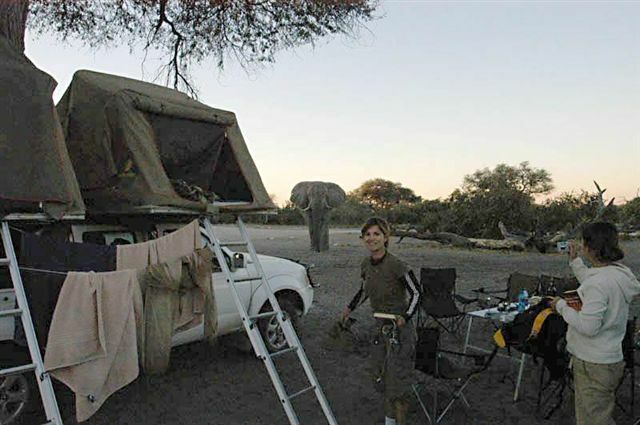 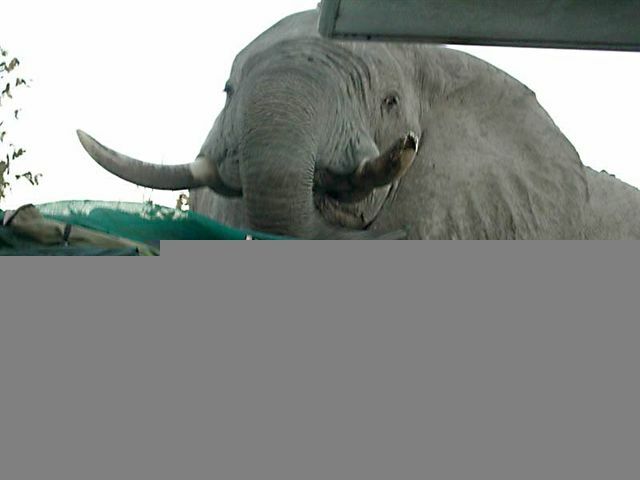 Just imagine having to tend with large elephants and lions invading your campsite!